ROSEAU, Dominica, Dec 31, 2013 – The head of LIAT – The Caribbean Airline said the regional carrier should be regarded as an essential service whose disruption could endanger life, personal safety, health of the population and jeopardize the economies of the region. 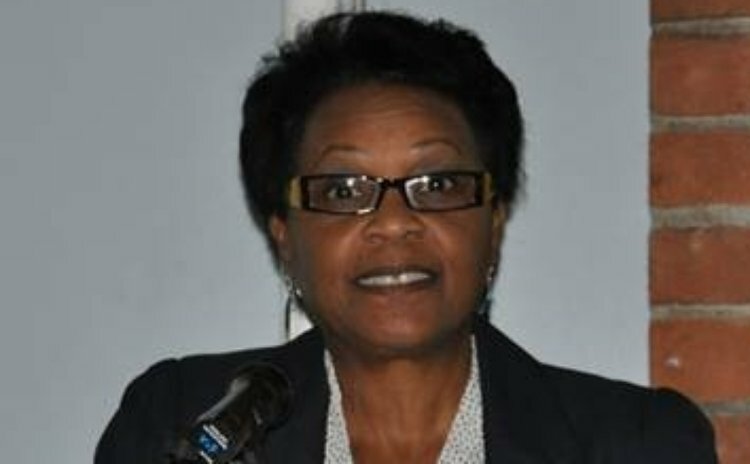 Acting CEO of LIAT, Mrs. Julie Reifer-Jones, speaking to private sector stakeholders in Dominica this week, asserted: "Typically everyone agrees that services such as water, electricity, hospitals, and fire services are essential... given the importance of LIAT to the economies of the region calls for this service to be listed as essential is not an unreasonable suggestion." Referring to a statement by LIAT Chairman Dr. Jean Holder who contended if the airline closed down across the region for one day the region would be paralyzed, she added: "Our experience this year has borne out the accuracy of this statement when during the summer the company experienced major challenges in the network. There was much discussion about damage to the region and fragile economies like Dominica. Again in early November, the LIAT network was literally shut down as a result of a withdrawal of service by the pilots." Describing LIAT as an "air bridge between all the countries" of the Caribbean, Mrs. Reifer-Jones argued the airline was "as essential to the region as ground transportation is to the local population in each territory." A recent study by the Caribbean Development Bank estimated that LIAT's economic contribution directly and indirectly to the economies of the region is in excess of US$300M annually. "Yet, unfortunately, while recognizing the importance of LIAT to the region, too few territories are willing to come to the table and assist in funding this essential service, our regional airline…ironically, we acknowledge the importance of the airline when it does not work but we are not prepared to do what is necessary to ensure that it works consistently," she added. Appealing to governments to be "part of the solution," Mrs. Reifer-Jones declared it was "time for every government in the region to inject equity into what is truly the Caribbean Airline. There is no point in staying on the outside and saying you will get involved when LIAT gets its act together." Mrs. Reifer-Jones reported LIAT was markedly under-capitalized in an industry which required huge capital investments. Furthermore, LIAT served 21 countries, many with populations below 100,000, making it difficult to create economies of scale. Noting the carrier also served smaller routes with social not economic returns, she nevertheless stated "someone has to pay for it but LIAT cannot be expected to foot the bill – essential services by their nature need to be funded." And, how could this be done? Mrs. Reifer-Jones suggested: "One way of ensuring that this happens is by way of equity injections or revenue guarantees." Listing the many challenges and issues the airline has in common with much larger and better capitalized foreign carriers, she lamented: "many governments are happy to provide revenue guarantees to the big carriers but frown at providing the same to LIAT."